Check out the new PunchTown KRURIS eX Shin Instep Guards. You’ll never ask for another pair of shin guards ever again. The PunchTown KRURIS eX Shin Instep Guards is made from premium quality cowhide leather for long lasting durability and a great feel. They’ve incorporated an extra thick 1.2″ FirmFoam™ technology padding for increased protection and strike confidence. 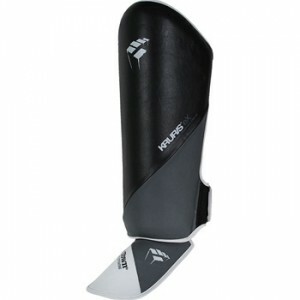 These professionally-made shin guards feature detachable insteps for multi-purpose training, and Thai style Velcro strapping for easy on and off. The ﻿﻿PunchTown KRURIS eX Shin Instep Guards offer great performance without sacrificing comfort and convenience. A great pair of shinguards indeed! The PunchTown KRURIS eX Shin Instep Guards is available at MMAWarehouse for $71.99.